The cloud is a simple term for the online space wherein GB's of data is being stored and shared worldwide. 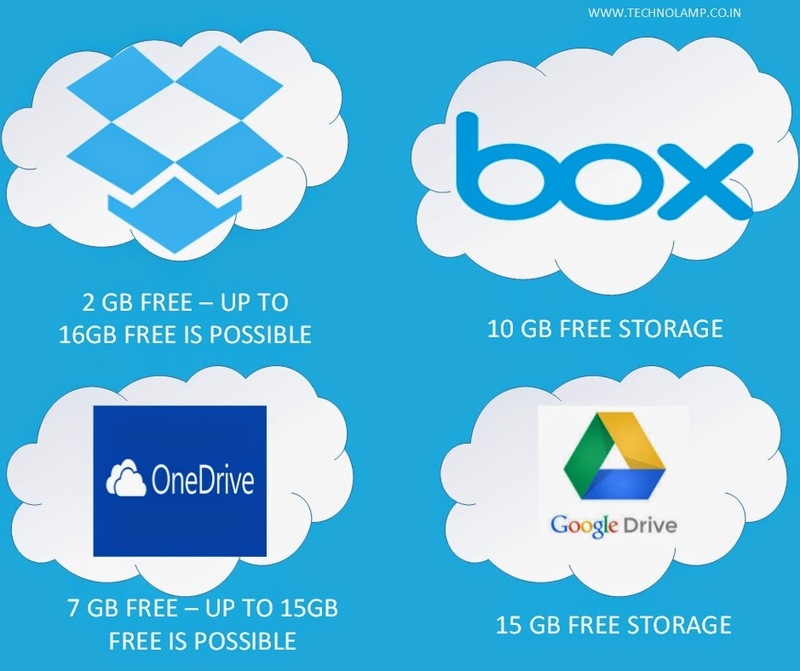 There are some popular websites that offer cloud storage service online to keep our files safe and stay forever. It's just like an on line pen drive, you can directly share files with your family and friends. Dropbox is extremely user-friendly and most widely used cloud storage service due to its simplicity. They will provide a small software associated with website directly and can download and install in your system. If you do this, it would generate a new folder in your documents directory in c drive. You can do all operations like copy, paste, delete, modify, move,etc. directly in that folder. It behaves like a normal folder in your system, but it sync all files to online storage. So you can access all your files anywhere and anytime if you have an internet facility. The User Interface is very simple and integrated with google apps. Simply everything is same like a dropbox, but you can open and edit all your documents directly from drive using Google Docs. It is directly associated with Gmail and Google+. OneDrive was recently launched by the Microsoft. It is extremely well designed application. It has the user interface like Windows 8 Operating system. It also has all most all the functionalities provided by the Google Drive like document editing, directly in your browser. - Directly publish your videos to Facebook. - You can add new items to previously shared items. Last but not least, Box is also similar to DropBox. Box has some nice features like feed about document changes, integration with google docs, more collaborative features.